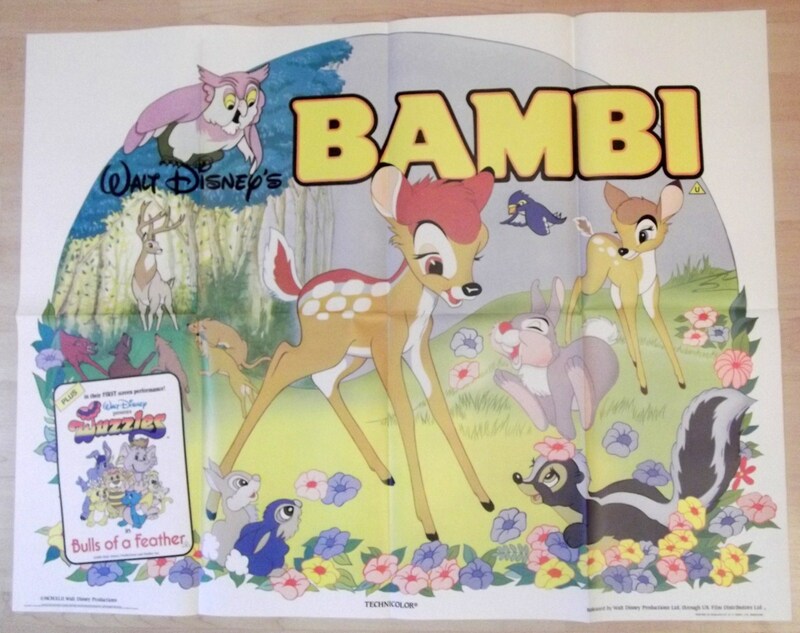 Original 1985 release British Quad poster from the Walt Disney film ' Bambi '. A classic Walt Disney tale about a small Deer growing up. This poster is in Fine condition and measures 30" x 40" with great color.